The Kärcher K 4 Classic features a durable and powerful water cooled motor. 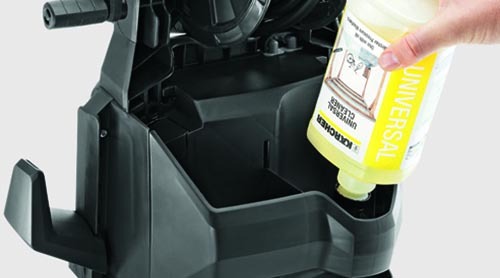 Ideal for regular cleaning on medium to high levels of dirt. 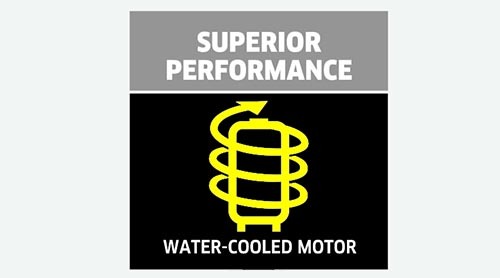 Water cooled motor provides outstanding performance and long service life. Plug 'n' Clean system for quick detergent replacement. 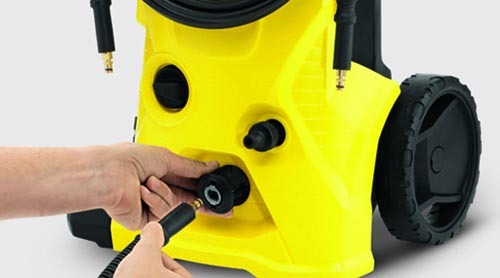 Quick Connect system allows for easily switching between hoses & attachments. The K4 features a durable and powerful water-cooled motor. 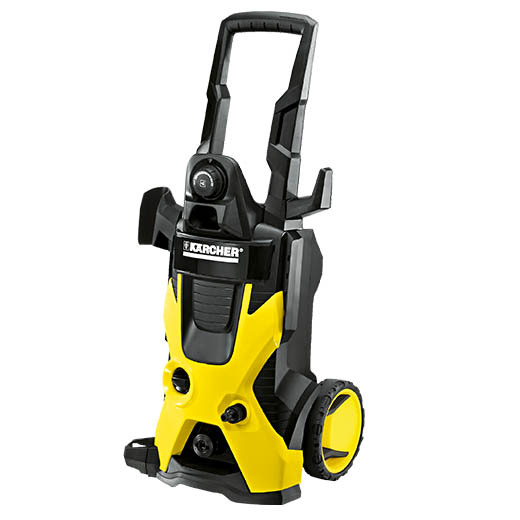 This high-pressure cleaner with Quick Connect gun and 6 m high-pressure hose is designed for the occasional removal of moderate soiling. The Vario Power spray lance (VPS) and dirt blaster are suitable for cleaning cars, garden fences, bicycles, etc. The water pressure can be adjusted by simply twisting the VPS to suit the surface being cleaned. The dirt blaster with rotating pencil jet effortlessly removes stubborn dirt. An integrated water filter reliably protects the pump against the ingress of dirt particles.